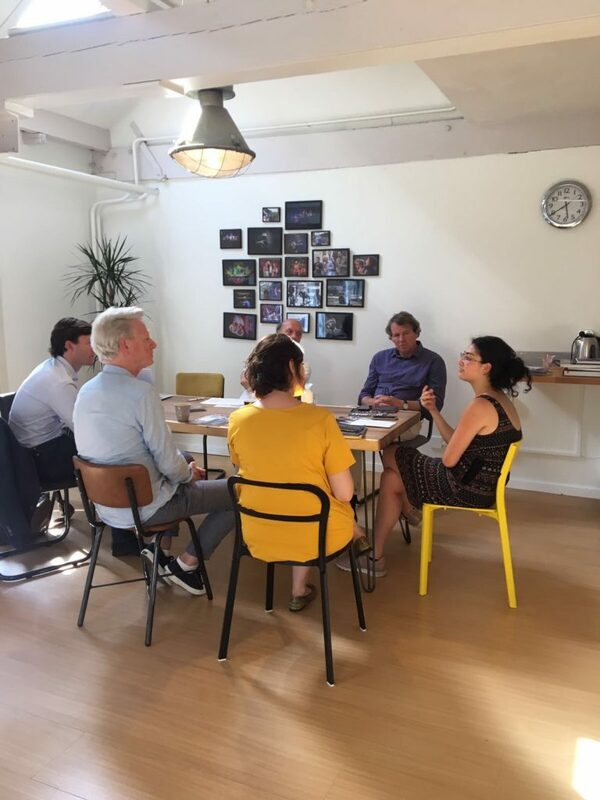 On 19 July we had a very productive meeting at the office of our friends of “Nederlands Blazers Ensemble”. Their Homeland Heartache programme (Oost West Thuis Niet Best) will feature a special group of musicians and composers, (former) asylum seekers and refugees from all over the world. During the meeting we discussed several organisational topics such as fundraising and website maintenance. The most inspiring part of the meeting was talking to Jawa, a great musical talent of Syrian origin who attends the Rotterdam conservatory. She has wonderful dreams and ambitions; hopefully we will be able to help her with the pursuit of her musical career. More information will be published here as soon as possible.